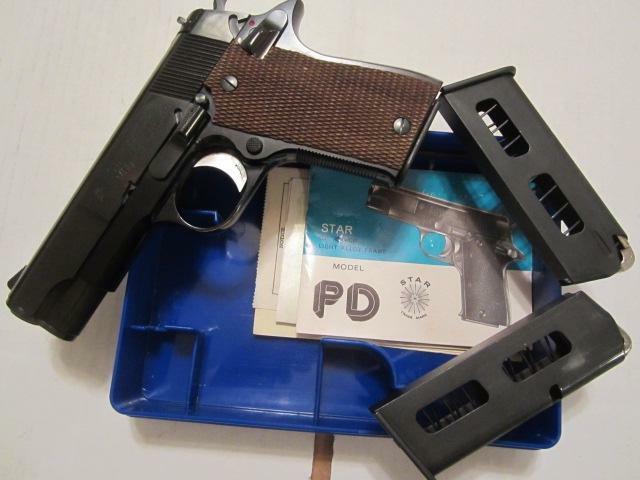 Colt Combat Commander Series 70 .45 acp - early 70s to early 80s vintage - not enhanced model. Must be in very good to like new condition. Box and papers are not important. Must be all original and unmodified. Prefer blue steel finish but will consider electro-less nickel. 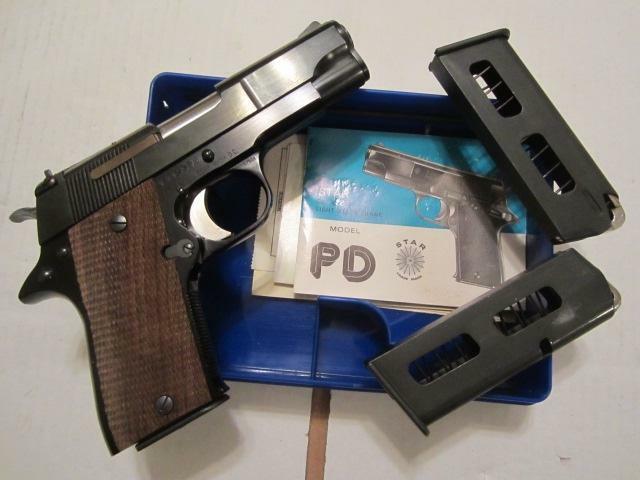 RARE NIB Star PD Pistol, cal .45 ACP, 4" bbl, blue, single action, windage adj rear sight, checkered walnut grips, alloy frame, 25 oz, no grip safety. Gun is NEW and unfired since the factory testing in its blue plastic case and comes with three NEW factory original 6 round magazines, papers and cleaning rod. First and still best of the factory production lightweight 1911 style pistols and a breeze to carry concealed. $699 shipped or Best Offer.